How hospices can address the day­-to­-day challenges navigating current state and federal regulatory requirements. 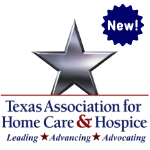 Program Description: In this webinar, Lester Johnson and Jason Cabell will discuss the challenges facing hospices in navigating current state and federal regulatory requirements and how hospices can address the day­-to­-day challenges they face in providing quality and essential end­-of-­life care to its patients and their families. Participants will actively engage in the learning activity and indicate an intent to change their practice by ensuring all staff are up to date on the latest regulations in order to ensure the highest quality end of life care. Lester “Les” W. Johnson, Jr. is a Partner at Liles Parker PLLC and is the Supervising Attorney for the Firm’s Baton Rouge office. In addition, Les also serves as Co-Leader of the Firm’s Health Law Practice Group. Les helps clients navigate the myriad of regulatory, compliance and business issues facing today’s health care providers and practitioners. Core areas of Les’s practice include handling Medicare & Medicaid appeals; Medicare and Medicaid participation and compliance; Stark and Anti-kickback law compliance, state self-referral prohibitions and any other regulatory issues a client may face. Les assists clients with operational and business issues involving hospital/medical staff relations, practitioner credentialing, health care contracting issues, mergers and acquisitions, antitrust hurdles, joint ventures, and practice formation and restructuring. Les is a frequent presenter on regulatory compliance, fraud & abuse, and business issues facing health care providers and practitioners. He was named a Health Care Hero by New Orleans City Business Magazine, and was also recognized by the Gillis Long Poverty Law Center for his work to help open the Lower 9th Ward Health Clinic, a free clinic opened in early 2006 in New Orleans’ flood ravaged Lower 9th Ward neighborhood. Jason Cabell is an Associate Attorney in Liles Parker’s Health Law Section. Also a registered nurse, Jason works out of the firm’s Baton Rouge office where he focuses on Medicare regulatory matters, audits and administrative appeals of overpayments assessed by Zone Program Integrity Contractors (ZPICs) and/or Recovery Audit Contractors (RACs).